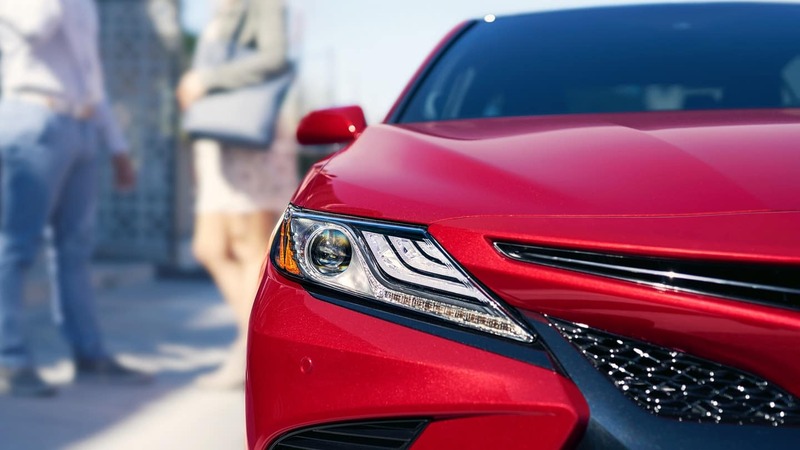 No matter what you’re looking for in your next sedan, we’re willing to bet that the 2019 Toyota Camry is an excellent option. With tons of standard features and performance specs that rank among the best in the class, some might expect the Camry to carry a high price tag. However, with seven different configurations, there’s a 2019 Toyota Camry configuration for every budget. Take an in-depth look at each Camry trim level with Westbrook Toyota, below! If you’re willing to pay a slightly higher starting price in exchange for superior fuel economy, you’ll definitely want to take a closer look at the 2019 Toyota Camry Hybrid. This time around, it’s available in three grades, starting at $28,250 MSRP*. When you’re searching for the perfect Toyota Camry trim, you should note from the outset that Toyota Safety Sense™ P (TSS-P) is standard on every trim. That means you’ll receive Automatic High Beams, Dynamic Radar Cruise Control, a Pre-Collision System with Pedestrian Detection, and a Lane Departure Alert with Steering Assist, no matter which configuration you choose. Sport-tuned suspension, paddle shifters for manual gear shifting, revised steering calibration, SofTex® seating, and 18-inch wheels. Want to see how the 2019 Toyota Camry compares to top competitors? Start by pitting it against its primary rival, the 2019 Honda Accord. There’s no denying that the 2019 Toyota Camry configurations have a lot to offer our neighbors near Madison and Old Saybrook. If you’re ready to experience this one-of-a-kind sedan for yourself, stop in to take your favorite model out for a spin! Find a new Toyota Camry for sale in Westbrook today, and make sure to check out our rotating new vehicle specials before you visit! Contact us today to get started.